WHY BUY IMM QUALITY BOAT LIFTS? At first glance, different brands of boat lifts may look similar, but upon closer inspection, you will find that Imm Quality Boat Lifts are built better than all the rest. We can stand behind our products because we employ the best engineers, designers, welders, and assemblers to ensure that we only manufacture top-of-the-line boat lifts and accessories. Imm Quality Boat Lifts has the largest full service engineering department. Our IQ engineers use advanced computer aided design software, 3D modeling and Cosmos stress analysis software in our designs. 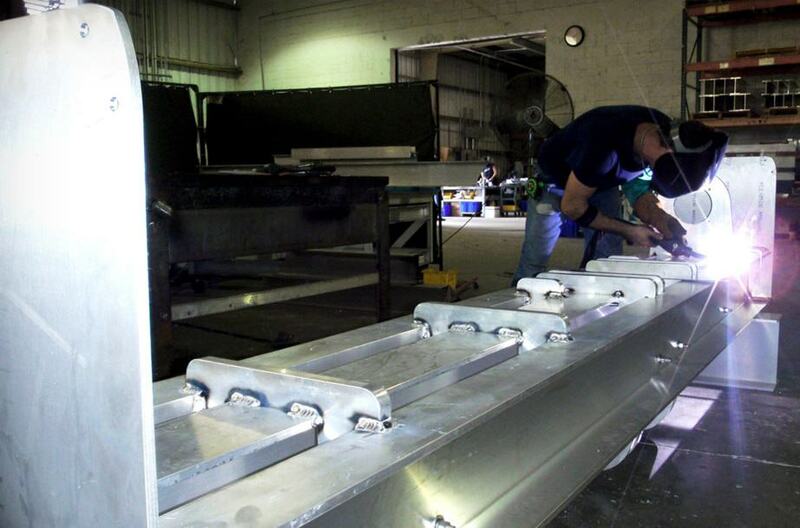 Our IQ engineers designed our boat lifts to be industrial grade, heavy duty machines that last a lifetime. They were also designed smarter so that they are easier to use and require less maintenance than other boat lifts. Totally enclosed drives and motors, tribopolymer maintenance free bearings, wedge locks, etc. we have thought of all the details so you do not have to worry about them. How do you really know that we are serious about product quality? Our dedicated in-house test facility is larger (>12,000 sq ft.) than most boat lift company’s manufacturing space and has dock pile, boathouse and sea-wall configurations to test all boat lift styles. All our IQ designs have been thoroughly tested to make sure that what makes sense on paper also exceeds our rigorous performance standards in the real world. Finally, for complete peace of mind, every design is reviewed and certified by an outside engineering firm. 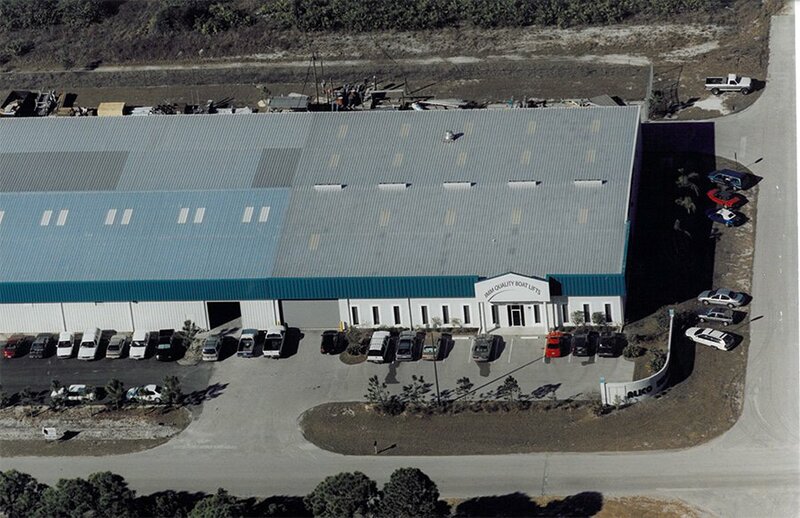 Imm Quality Boat Lifts has a highly advanced, state-of-the-art >30,000 square foot manufacturing facility. 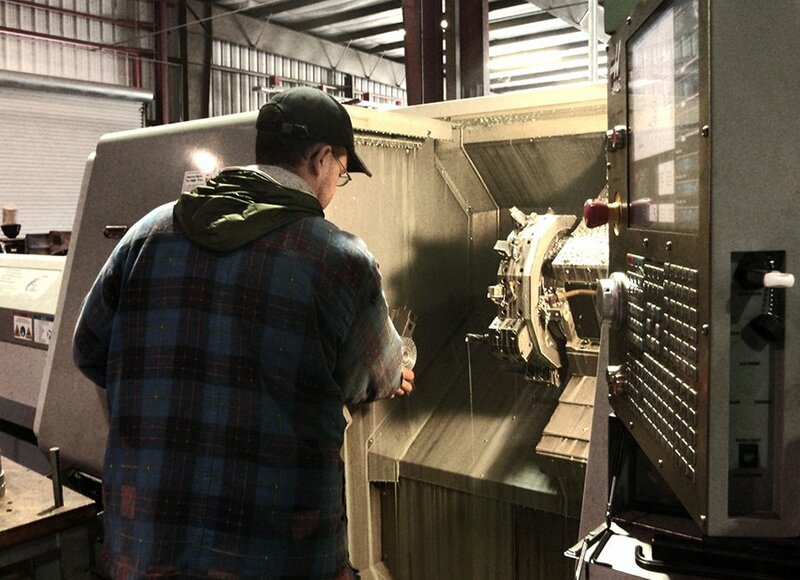 Our investment in the best machinery like plasma cutters, auto-feed band saws, CNC lathes, CNC punches, CNC mills and CNC routers gives us the most advanced manufacturing facility in the industry. Not only does this equipment give us the ability to design stronger, more reliable boat lifts, designs others can not make, but this equipment greatly improves the manufacturing process, providing greater consistency and tighter tolerances than can be achieved elsewhere. Furthermore, our commitment to state-of-the-art manufacturing processes and product safety testing has given us great pride in our products and should make consumers feel very confident about the products and services we offer. Another thing that sets us apart is our tremendous experience. With over three generations of engineering and fabrication experience we know how to build the best boat lifts on the market. 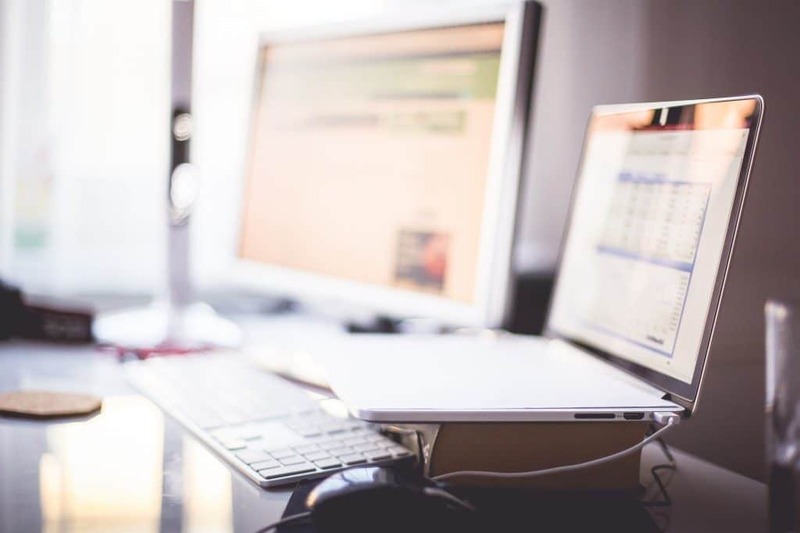 What may seem difficult and new to other companies, we have seen before. We know how to work around all the problems so that you get the best possible lift for your boat. We have over 25,000 boat lifts in the field and some of our older models are still in operation after 30 years! With this unheard of track record of quality and trouble free operation you can rest assured that Imm Quality Boat Lifts are built for a lifetime. We provide the most comprehensive warranty in the industry. Other companies have put out warranties with longer time frames, but read them carefully. They are limited warranties. Good luck getting anything covered after all their fine print and legalese. Ask around with other homeowners about their experience with these companies. Then take a look at our warranty. Up to a 15 Year Warranty on our structures, 5 Year Warranty on all of our drives, and a 2 Year Warranty on all other components including the pulleys and motors (for full details see warranty under documentation). Furthermore, all products are protected by the most comprehensive products liability insurance available on the market. Our goal is to provide the best customer service experience possible. Our sales team, custom design services, technical support, parts service and extensive dealer network work diligently to make this goal a reality. Through extensive feedback both from and about our dealers, we are constantly striving to improve our customer service. We believe the thousands of satisfied customers and extensive testimonials clearly show the quality of our customer service. Will it last as long as an Imm Quality Boat Lift? Will it be as reliable as an Imm Quality Boat Lift? Will I get the same high quality service that I get through Imm Quality Boat Lifts? 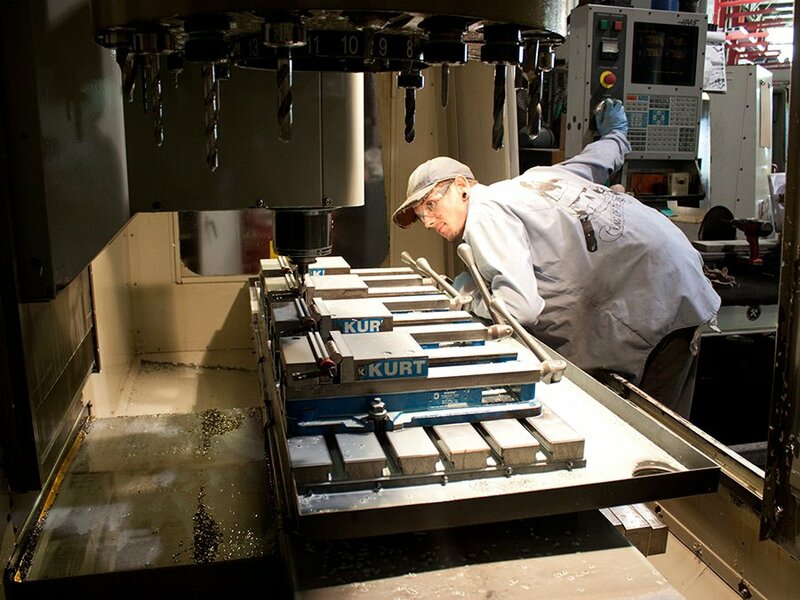 We source only the highest quality raw materials (marine grade 6061-T6 aluminum and type 300 stainless steel), and to maintain control of quality and reliability, all parts for our lifts are built in-house in our fabrication department by skilled craftsman using state-of-the-art CNC machines. We use welded construction techniques, a method that is far superior in the corrosive marine environment. We have over 25,000 lifts in the field and some of our older models are still in operation after 30 years! With this unheard of track record of quality and trouble free operation you can rest assured that Imm Quality lifts are built for a lifetime. Our IQ engineers have developed our patented and custom designs to far exceed the performance of any other boatlift on the market. The boatlift cradles can be custom designed to fit the boat manufacturer’s recommended bunk placement and full custom services are available to design the perfectly sized and equipped lift for any need. Our intelligent IQ designs provide the lowest cost of ownership among any lift on the market along with unsurpassed durability to give you peace of mind about costly and time consuming repairs. Up to 15 Year Warranty on our structures, 5 Year Warranty on all of our drives, and a 2 Year Warranty on all other components including the sheaves and motors. For full details see warranty or click here. All products are protected by the most comprehensive Products Liability Insurance available on the market.